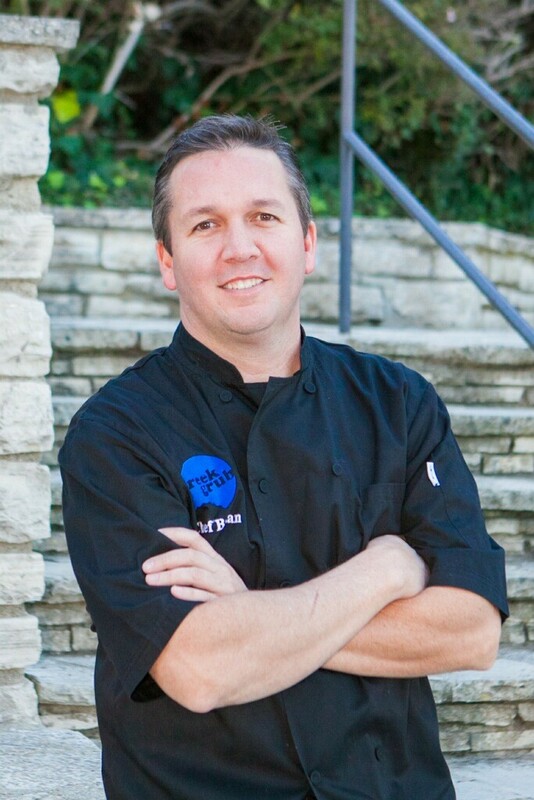 Founder and Executive Chef, Brian Johnston started his culinary career as the Banquet and Catering Manager for a large restaurant group in Long Beach, California. After years in the front of the house, he enrolled in the Le Cordon Bleu program in San Francisco. After graduating, Chef Brian moved to Waikiki where he worked with James Beard Award winning chef, Alan Wong, at his flagship restaurant. Returning to the mainland, Chef Brian worked in banquets at the Four Seasons in Beverly Hills with celebrity chef, Conny Anderson, before moving to the Ritz Carlton in Marina Del Rey, to train with chef Troy Thompson. After founding Frat Food and Sorority Gourmet in 2005, Chef Brian branched out and launched his most exciting venture yet, Greek Grub. Retaining complete creative control, while focusing on seasonality along with quality ingredients was job one. This experience and dedication to culinary arts culminates to an exceptional dining experience for many Fraternities and Sororities across the state. Greek Grub is committed to providing a fresh and honest food service for fraternities and sororities across California. I have worked with Brian and his staff for over 3 years as House Manager and President of our chapter, and have always found his service to be of the highest quality. 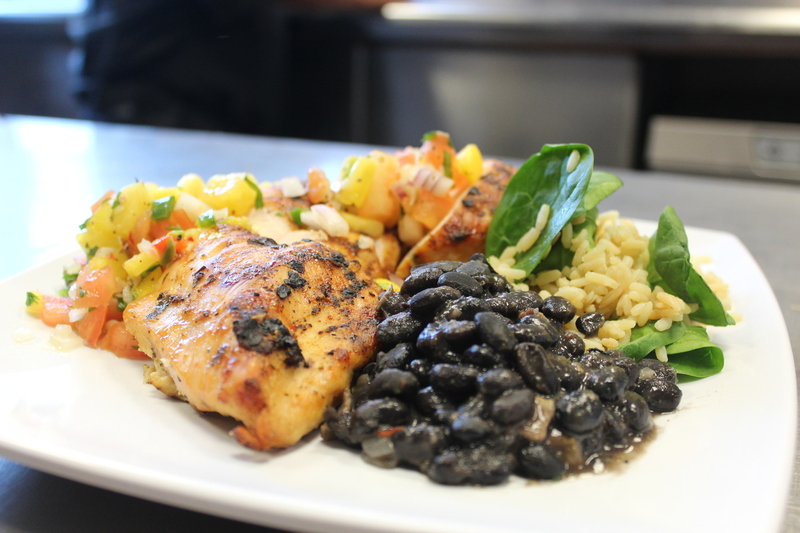 Their cooks are friendly, punctual, and most importantly, accommodating to our needs and short-notice requests. On a week's notice, Brian was able to cater our biggest tailgate of the year at the Rose Bowl last December. Complete with a chocolate fountain, heating lamps, and full course meals that fed almost the whole UCLA Greek system, the event was a huge success and will always be a highlight of my college experience. It's this personalized service that may be Greek Grub's greatest asset and what separates them from other caterers. In my time at USC I have not met someone who is as devoted to excellence and making others happy than Chef Brian Johnston. He works tirelessly every day to meet the needs of 150 individuals at my fraternity as well as maintain his high standard of efficiency at his other client sites. As a leader and former president of my fraternity, I have heard countless stories from individual members about Chef Brian going out of his way to personally accommodate their dietary needs whether that be withholding a certain ingredient in their meal due to allergies or preparing a meal early because of a time conflict with class. If I could afford Brian to be my personal chef after I graduate I would, however it is my opinion that Brian’s dedication and sincere care for his clients is worth millions. I have worked with Chef Brian and his team from Greek Grub for 4 years at Phi Kappa Psi fraternity at USC. Brian/Greek Grub prepare healthy meals for the fraternity each week. As President of the Parent’s Club, I have also worked directly with Brian on providing food for special events at Phi Psi for annual Parent’s Weekend cocktail receptions and tailgate events and each semester’s Scholarship Dinner. For these special events, the fraternity is entertaining USC faculty, administrators, and Trustees, as well as VIP alumni, parents, and chapter members. Brain makes sure whether we have 100 people for a buffet dinner or 400 guests for a tailgate that the food is plentiful, prepared and served on time, and tastes delicious. Working with Brian on these special events has given me every confidence that our events will go smoothly. Brian shows professionalism in paying close attention to every detail – from menu planning to serving and presentation. Brian is friendly, courteous, and attuned to his client’s needs. I highly recommend Chef Brian and his team at Greek Grub. Copyright 2016. Greek Grub. All Rights Reserved.